If you ask any employee today, they will often complain that email is the blight of their workday. They are often overwhelmed and do not know how to deal with email effectively. These tips below can be applied to a heavy email user that is constantly keeping an eye on their inbox and responding to email all day to someone who just checks email once a day. If you receive a lot of mail from one person on an almost daily basis, you could automatically filter any mail from them into a sub folder. This way when they ask if you received the email from last Tuesday at lunchtime, you can easily check without having to go through all your emails. The folders also work great if you are doing business with a particular website. 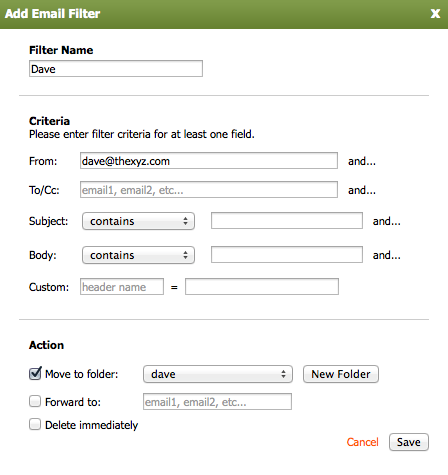 You could create as folder for the website any mail sent from that domain is automatically filtered there. Spam levels have dropped a lot over the past few years thanks to the effort of multiple spam detection tools. It is still important to manage, and you can do so by, reporting the spam and block the sender from being able to penetrate your neatly organized inbox again. You can block a whole domain, email address or IP address via the spam blacklist. An alias is like an additional email address that can be added or removed to save you using your real email address. This can be exceptionally handy for handling multiple email addresses within one email account. Maybe you don’t want to give out your real email address, but need to ensure that you receive the emails sent to that address. This is just one example of when an email alias is suitable. Email calendars are very powerful tools and often highly universal. Integrating with a variety of different devices and applications. They are secure and tied to your email account, so if you lose your mobile phone or upgrade your computer, then you can rest assured that your email calendar will still be available. Many CEO’s and successful, or motivated people credit their achievements to organization, setting goals and making appointments like this are great way to start. Within an email calendar you can categorize tasks and events by colour, set them to occur over on a weekly, monthly our annual basis. You can also set reminders through email or sms and invite others via email to a calendar event. It is a lot easier said done. The idea is that every email received should be dealt with. Either deleted, archived in appropriate folder or marked as spam. This is a great practice to get into, the key to success here is to have your subfolders create to store any mail you wish to archive. Having a good spam protection tool will also help. Thexyz multiple layers of spam protection ensure you will have clean inbox that can also be a great help to keeping a zero inbox. Whether you are going on vacation or dealing with a high spike in incoming email, an auto responder will help get the message out by automatically sending a message to everyone that sends a message to you. You can read more about setting up an auto responder here. 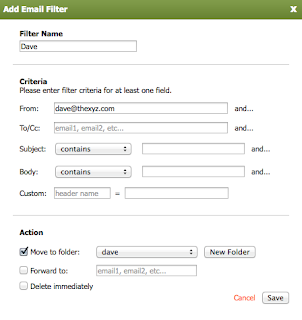 I mentioned it above the “Create sub-folders” section, I will mention it again as it really, create some email filters. BACN is not a food but email, unlike spam it is email that has been subscribed to and is therefore not unsolicited. Over the past few years, advances in spam detection have lead to a reduction in the amount of spam making it to your inbox. Email marketers are now sending more mail than ever before to members and subscribers. These daily or weekly emails can take up much of your inbox. You probably don’t want to keep them all, and at the same time, not send them all to your spam for easy purging. Instead create a folder called ‘BACN.’ You can then use filters to divert these newsletters and notifications to the BACN folder to find all this non-essential email in one place. It can also be easily deleted. Do you have any email management tips? Feel free to post a comment below. Great post, I am going to apply some of these as news years resoulutions.